The non-delegation doctrine is not a phrase that flows readily from the lips of most law students or even most Supreme Court Justices. But that may be about to change. On Monday the Supreme Court will tackle the obscure but potentially important question whether Congress violated basic constitutional principles by giving Amtrak, the nation’s interstate passenger rail system, too substantial a role in deciding when freight railroads are failing to give adequate preference to Amtrak’s passenger trains and in deciding how such disputes will be resolved. The case is Department of Transportation v. Association of American Railroads. 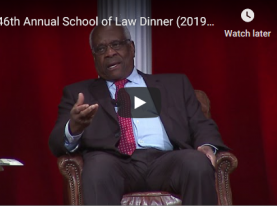 The case should interest students in constitutional law and administrative law courses, regardless of whether they use Amtrak, because it may shed light on the role that the private sector may play in shaping government regulation. The dispute before the Court on Monday involves a second form of the non-delegation doctrine, the even less well-known principle that Congress may not delegate legislative authority to private entities. Regardless of which facet of the non-delegation doctrine one considers, it has been close to eighty years since the Supreme Court found an unconstitutional delegation, to either the executive branch or the private sector. And when those last non-delegation violations were found, it was in the middle of the New Deal constitutional struggle that pitted the Supreme Court on one side against President Franklin Roosevelt and Congress on the other side. A brief examination of those decisions is in order. In 1935 in Panama Refining Co. v. Ryan, the Supreme Court ruled that Congress gave the president and in turn the Interior Department too much discretion with too few standards to decide how to enforce limitations on the transportation of oil among the states. Five months later, in A.L.A. Schechter Poultry Corp. v. United States, the Court invalidated a central feature of proposed New Deal efforts to recover from the Great Depression, ruling that Congress had given unguided discretion to President Roosevelt to have industries create fair competition codes to help stimulate the economy. In a separate opinion, Justice Benjamin Cardozo said the absence of any standards was “delegation running riot.” Both of these cases involved provisions of the National Industrial Recovery Act that the Court struck down. With those cases, controversial because commentators have long criticized the Justices for substituting their judgment for the legislature’s, the Court established the parameters of the non-delegation doctrine and then did not find a violation of the doctrine for the next three-quarters of a century. To be sure, claims of nondelegation violations have been raised from time to time in the Supreme Court. When the issue is delegation by Congress to the executive branch, the Supreme Court follows a standard it articulated in 1928 – that there must be an “intelligible principle” in the legislation to guide the discretion of the government officials who are to implement the law. Questions about this form of delegation sometimes arise in cases involving independent regulatory agencies in the federal government; independent agencies exercise rulemaking authority which may sometimes be precisely defined, and other times is outlined more broadly in federal statutes. Using the “intelligible principle” test, the Supreme Court has upheld the power of federal regulatory bodies when the issue has arisen. But in theory delegation to the private sector can never be constitutional. Enter Monday’s case. In simplest terms, the Supreme Court must decide if the delegation of authority to Amtrak is an unconstitutional grant of legislative powers to a private entity. To reach that decision, the Justices must decide if the authority given to Amtrak by federal law is legislative in nature, and whether Amtrak is a private corporation or a public entity. Congress created Amtrak – the National Railroad Passenger Corporation – in 1970, and service began in 1971. Amtrak operates largely over tracks owned by freight rail companies. The current case focuses on a somewhat complicated statutory scheme in the Passenger Rail Investment and Improvement Act (PRIIA), passed in 2008, that made some changes to the law governing Amtrak to improve on-time performance and reduce delays caused by freight rail traffic. The law gave Amtrak and the Federal Railroad Administration (FRA) joint authority to establish standards to measure on-time performance; if Amtrak or the FRA disagrees with the standards, either may ask another government agency, the Surface Transportation Board, to appoint an arbitrator for binding arbitration. The Association of American Railroads, a trade group that includes major freight rail companies, sued in federal district court to challenge the performance standards to which Amtrak and the FRA agreed. The trade group argued that the new standards were adopted under an unconstitutional law that effectively gave Amtrak the power to regulate other private railroads. The district court granted summary judgment for the government, but the D.C. Circuit reversed. The Department of Transportation appealed to the Supreme Court. Representing the federal government, the Solicitor General argues that there is no unconstitutional delegation to a private entity because government officials retained control over the adoption of the standards. 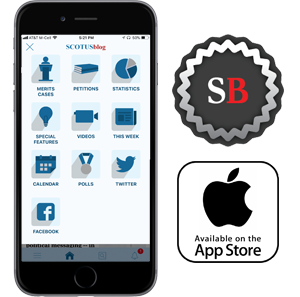 Moreover, the Solicitor General argued that the court of appeals incorrectly assumed that Congress had permitted appointment of a private arbitrator to resolve disagreements, rather than having them resolved by the Surface Transportation Board. Finally, the Solicitor General argued that Amtrak is not a private corporation but rather has governmental status. The Association of American Railroads (AAR) rebuts these arguments and adds an additional wrinkle. The AAR argues that the delegation to Amtrak is for actual rule-making authority and that Amtrak is, as the D.C. Circuit found, a private entity for purposes of the nondelegation doctrine. 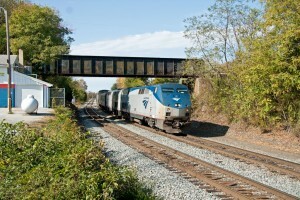 The AAR also argues that allowing Amtrak to make rules for the industry violates the Due Process Clause of the Fifth Amendment – which, they say, requires decision making by a disinterested party rather than one that has a direct, financial interest in the adoption and implementation of rules and regulations. While the D.C. Circuit did not address the due process argument, the AAR says it has been raised and briefed at every stage of the lawsuit. The Solicitor General says that since the Supreme Court did not grant review on due process, the issue should be left to the D.C. Circuit to consider if the case is sent back after the Supreme Court rules. What lies ahead after Monday’s oral argument? Although it is possible, it seems unlikely that the Supreme Court agreed to hear the case for the sole purpose of ruling that Amtrak is not a private corporation. And once the Court moves beyond that point, the stakes may be high. A number of conservative, libertarian, and corporate interests have filed briefs urging the Court to reinvigorate the doctrine of non-delegation to private parties by striking down the authority granted to Amtrak. Whether the Court will choose to wield this weapon for the first time in almost eighty years remains to be seen.